The Warré hive was developed in France during the early 20th century by Abbé Émile Warré, an ordained priest and an avid beekeeper. His vision was to develop an easy-to-build and easy-to-manage beehive with which everyone could have success (thus often referred to as the Peoples’ hive). This simple, cost-effective and efficient design has been gaining renewed popularity among DIY beekeepers and those seeking more organic approaches to beekeeping. The top-bar frames (which have no bottom rails, no side rails, and use no full sheets of foundation) allow the bees to build their comb freestyle and without restrictions on cell size. The design provides a living arrangement that is similar to how bees live in the wild (within the hollow of a tree). As a result, the bees tend to be less stressed and thus less prone to disease. The vertical design allows the bees to grow the colony as they do in the wild (working downward from top to bottom). Beekeepers using this design tend not to disturb the colony with frequent swarm prevention inspections, and so there is excellent retention of the colony’s scent. In addition, a hive that is not opened often by the beekeeper gives the colony much better natural control of temperature and humidity. With plenty of space to grow the brood nest, the risk of swarming is greatly reduced. The hive yields lots of beeswax, because most of the comb is removed during the honey harvest. The wax can then be used by the beekeeper for making candles, cosmetics, and furniture polish. 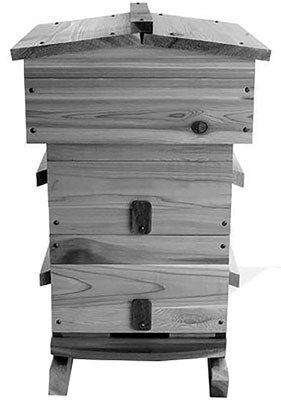 The Warré top-bar hive is a favorite among beekeepers practicing a natural approach to beekeeping. Harvesting of honey requires destroying the comb (it must be crushed to extract the honey from the comb). On the other hand, it means that every year the colony uses a fresh supply of beeswax comb, and there is less chance of pesticide build-up that can be found in wax that is used over and over, year after year. The honey harvested may contain a higher percentage of pollen and be cloudy in appearance. But one could argue this is far more natural and organic, providing the honey with extra protein (pollen content) and thus can be considered healthier. Making artificial swarms, splits, reversals and other manipulations are difficult or even impossible (versus what’s possible with a hive using framed comb). But the whole idea of this design is to provide as natural an environment as possible for your bees. Frequent manipulations are contrary to the “all-natural” objective. And if you decide to administer medications, that can be a difficult task (there is no feeder, for example). But hey, with a Warré hive, we’re ­talking all-natural, sustainability, and organic beekeeping. Medication and chemicals need not apply at all. The great news is that bees tend to be healthier when under less stress and in a more natural environment. And this simple design provides just that. Capacity: The tall, vertical design provides ample room for the colony to naturally grow throughout the season. There is no need for the ­beekeeper to anticipate the colony’s growth and add hive bodies during the season. All the space that’s needed is provided from the get-go. Frames: This design does not use frames or foundation. It uses top bars, upon which the bees draw out their own natural comb. There are no side bars, no bottom bar, and no full sheets of beeswax foundation to deal with (nor the costs associated with these elements). The bees build their comb without restriction onto each of the top bars placed in the hive (typically there are 32 top bars in all). Universality: This statistic becomes less important with this design. All the gadgets and add-ons that you might use with a conventional Langstroth hive (feeders, queen excluders, foundation, and honey extracting equipment) are irrelevant to the Warré. 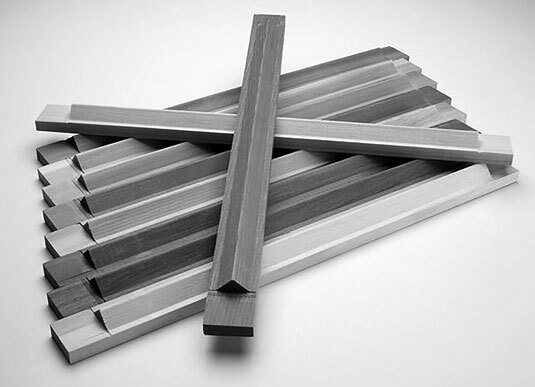 Its design is virtually all-inclusive and requires no extras; however, if you need a new roof, there are an increasing number of beekeeping supply stores offering pre-built Warré components. Just make sure the dimensions of the commercially made hives jive with your hive’s dimensions (there is less standardization regarding Warré measurements than with the more-popular Langstroth hive).